You are here: Home / Dining / A ton of fun at Fümé this festive season! A ton of fun at Fümé this festive season! 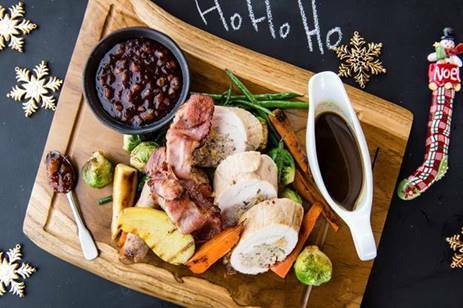 This festive season, Fümé Neighborhood Eatery has ‘the spirit of festive and joy’ all wrapped up tight with an outstanding line of events. Dubai, United Arab Emirates, November, 2016 – Festive décor, classic tunes and seasonal cheer awaits guests at Fümé Neighborhood Eatery, Downtown and Pier 7, at the most awaited ‘joyful month’ of the year. Fümé will once again keep the magic of the festive season alive with spectacular celebrations, events and much more! Head down to Fümé in Pier 7 or Downtown Dubai to indulge in an incredible dining feast this Christmas and New Year’s Eve. Fümé sure knows how to celebrate and to bring the New Year with a bang; a splendid sharing set menu has been created featuring some of the most delicious items such as ‘Crab Cakes, Roasted Mustard Chicken Casserole, Truffle and Lobster Mac n Cheese’ amongst others along with an indulgent array of desserts. Fümé Pier 7 or Downtown, either way you got to be lucky spending the last ‘best’ night of 2016 in the company of great food, unlimited fun and spectacular views of Marina skyline or Burj Khalifa fireworks – what’s not to love?! Slip into your best party avatar for a New Year’s Eve to remember, sumptuous dinner and great music to welcome 2017 in style!